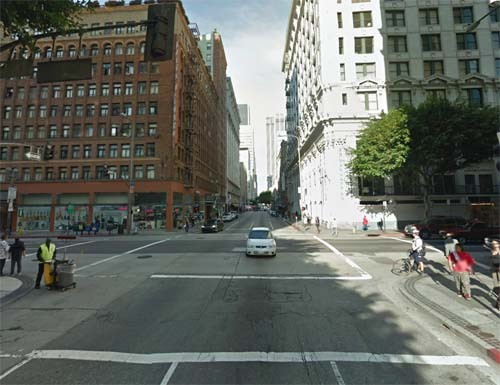 West 6th Street is a street in the Historic Core District in down town Los Angeles. 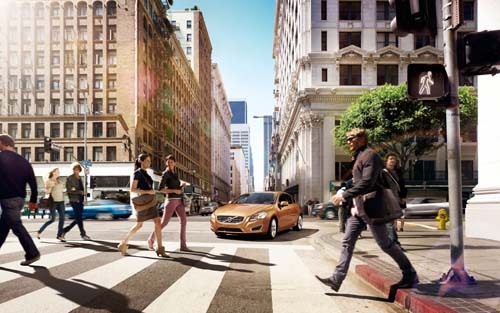 The Historic Core is a neighborhood in Downtown Los Angeles between Hill and Main streets on the west and east, and 3rd and 9th streets on the north and south. 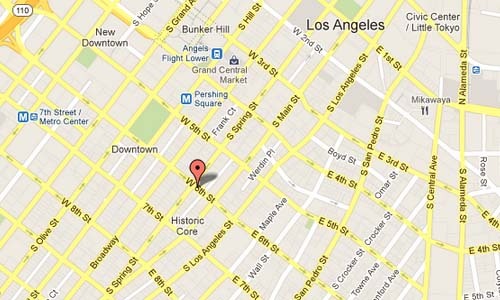 It overlaps with the Jewelry District on its western end and Skid Row on its eastern end. It was the center of the city before World War II. With the general decline of downtown after World War II, and the movement of all financial institutions several blocks to the west, ending up on Figueroa Street, Flower Street, and Grand Avenue, the area suffered. In the 1950s it became the center of Latino entertainment in the city; the Million Dollar Theatre featured the biggest names in the Spanish language entertainment world. This paralleled the general white flight occurring in Downtown Los Angeles at the time, which saw Broadway become a major center for Latino life in the city. Although prostitution and drug dealing had occurred in the area as far back as the early 1920s, they became epidemic in the 1960s. The area’s movie palaces, built between 1911 and 1931, became grindhouses. The last of them closed in the 1990s; the Orpheum Theatre recently underwent a complete restoration at a cost of several million dollars, and is now used for major movie premieres (such as “Collateral” in 2005), celebrity events (Michael Jackson’s birthday party), comedy shows (Kathy Griffin), fashion shows, concerts and plays. The developing street gang problem in Los Angeles which began to worsen at the end of the 1960s and got considerably worse in the late 1970s, also hurt traditional commercial activity the area, as it did much of downtown. While the LAPD indicates that the area is a sort of neutral zone, that has not been claimed by any single gang and meaning that random gang violence is rare, the area remains one of the major areas for street drug sales in Los Angeles. Most of the older buildings have stores that cater to the Latino immigrant working class. 1965, for Custom’s Brokers. It was fascinating to eat at ethnic places, visit and shop at them, walk to major Department stores, all on a full work day.